You know, there are a lot of great things about going to school in Seattle. One is for sure the scenery (being able to see Mount Rainier from your dorm room was pretty great). Another is the public transportation. And UW campus is undoubtedly gorgeous. But you know what stinks about Seattle? The utter lack of fabric and craft stores. I can't really figure it out. I suppose Seattle is more about other people's craftsmanship than their own crafts. Basically Seattle thinks it's just too cool for that. So what is a girl like me to do? Shop online! For so long, I did not know that such great fabric existed online. I spend too many hours looking at all the fun prints! All these sites sell at about 9$ a yard and go up (sometimes really up with well known designers), but it is still a great resource when you don't want to settle for the selection near by, or in my case, you dont want to take a 40minute bus only to settle for the selection. I am still a little trigger shy about buying things I can't return and havent seen... but really its hard to go wrong with a cute pattern fabric. 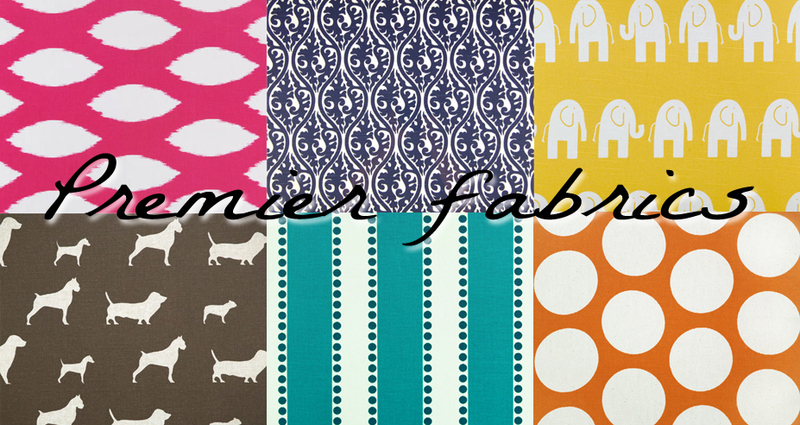 Here is a round up of my favorite online stores and some of my favorite fabrics from each one. And I am sure if my aesthetic wasn't clear before, it sure will be after this post! haha. Clockwise from top left: 1. 2. 3. 4. 5. 6. Equilter has an eyedropper tool that allows you to select any shade from a fabric and it will search for it in others. Pretty cool. It only sells printed cotton however, but if that is what you need they have an incredible selection, some really weird obscure stuff. For example, when will you ever need this? Oodles of Amy Butler, need I say more? This is an enormous site. Too many options really, but has a great variety of weights of fabrics, not just cotton. Not as extensive as the others but has really nice staples, like stripes and dots that come in many color ways. Oh and outdoor fabrics, which are always hard to find. You didn't think there could be indie fabric did ya? Well if you go to this site you will immediately understand. Spoonflower prints custom fabric designs, and all those designs are available for you to purchase, or you could make your own design too! That's pretty amazing. Obviously this means it is a little more expensive, but the designs are so so creative, unique and, well, hipster-esque that it is worth it. Also wide selection of nerd fabrics, dinosaur cameos anyone? Also spotted many a tardis print for Boyfriend. Lastly, you can buy cut-and-sew pattern designs, like this nutcracker ornament. That's that folks. Do you have any favorite places to buy fabric?